Jarrett Andretti will fulfill his father's wish to see him race at Indianapolis Motor Speedway when he makes his Indy Lights debut in the Freedom 100 next month. Takuma Sato notched his fourth career IndyCar victory on Sunday, beating Scott Dixon for the top spot at Barber Motorsports Park. Dixon was the runner-up for the sixth time in the race's 10-year history. Coming off his first IndyCar win two weeks ago, rookie Colton Herta aims to continue his success on Sunday at Barber Motorsports Park. 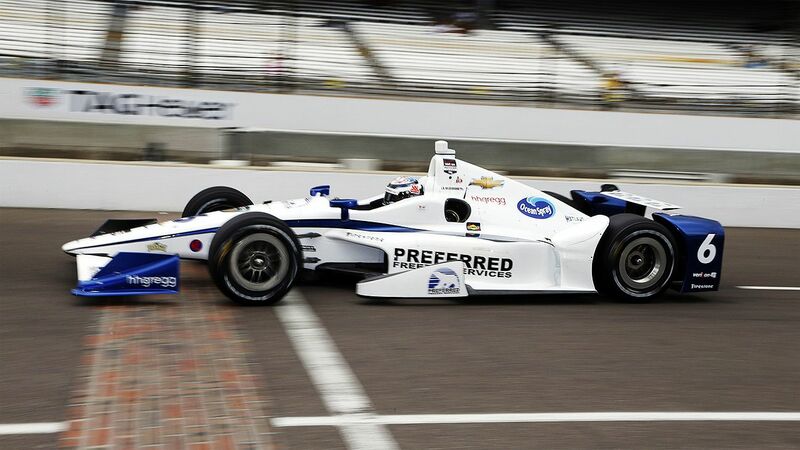 Herta was second in practice Friday behind James Hinchcliffe. Instead of trying to be "the next George Steinbrenner," George Steinbrenner IV is trying to be "the next Roger Penske." Eighteen-year-old rookie Colton Herta took advantage of a late-race crash to become the youngest winner in IndyCar history. Maurice Hamilton argues that animosity between Lewis Hamilton and Nico Rosberg is to expected and its up to Mercedes to deal with the repercussions. ESPN assistant editor Nate Saunders explains why closed cockpits are not a straightforward solution to fatal accidents in motor racing. Radio Ga Ga: "Yes! That's how you f****** do it!" ESPN rounds up the best radio soundbites from the Belgian Grand Prix.